We first interviewed Professor Massimo Pigliucci back in 2015 after his popular piece in New York Times on Stoicism became one of the most shared and viewed articles on the site. And today, with the release of his new book on stoic philosophy we decided to again reach out and ask him about all the imaginary conversations he had with Epictetus in the book (a once common literary structure that is sadly rare these days). We also used the opportunity to ask him about useful Stoic exercises we can apply in our day-to-day to pop culture recommendations to his thoughts on the rise in popularity—and accompanying criticism—of Stoicism. 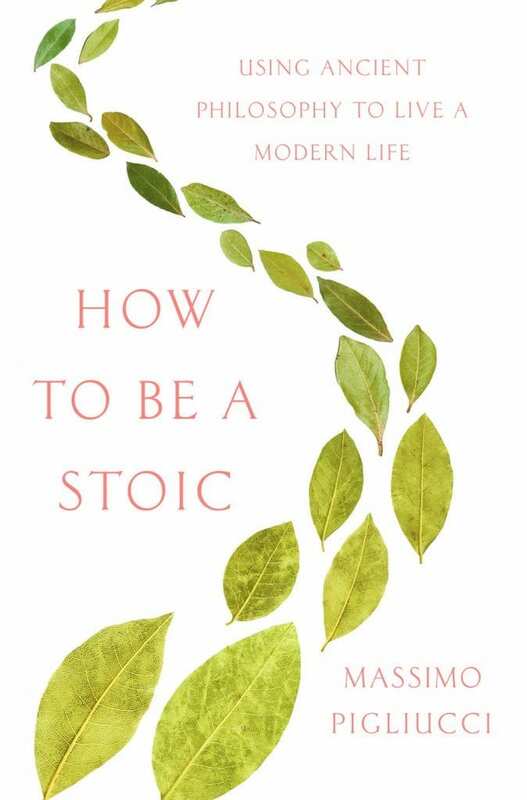 Enjoy the interview that follows and don’t forget to check out his new book, How to Be a Stoic: Using Ancient Philosophy to Live a Modern Life, which is out now. Exactly. It’s not just that Seneca and Marcus were flawless writers, it’s that there are a number of very good books out there written by modern authors, including yours. So I felt that the only reason for me to add a new entry to the canon was if I had something new to say, or a new way of saying it. I picked Epictetus because today he is the least well known of the great Stoics, and also because I have been immediately fascinated by his wicked sense of humor and his bluntness. The other reason is that I have occasions to disagree with him in the book (for instance, about his conception of God and Providence), which offered me the opportunity to put forth my own update of Stoicism for the 21st century. Right, Stoicism is clearly growing, but we are not even in the ballpark of Buddhism. Though there is no reason we shouldn’t be. In fact, I think of Stoicism as the Western equivalent of Buddhism, with a lot of similarities between the two philosophies (and some differences, of course). I actually tried to study Buddhism for a bit, but the parts I managed to get exposed to felt too alien, couched in cultural, linguistic, and conceptual terms that did not resonate with me. By contrast, when I picked up Epictetus, or Marcus, or Seneca, I immediately felt at home. I think the same is potentially true for a lot of people who haven’t been exposed to Stoicism yet, which is why I wrote the book and I keep a very active blog (howtobeastoic.org) recounting my personal exploration of Stoicism. It has changed my life for the better, I think and hope it will change others as well. But yes, there are critics, some of them fairly harsh, if not downright vicious. I’m not sure why they are so afraid of the (limited, really) success of Stoicism, but of course Stoics have dealt with critics for millennia, this is just one more iteration. What do you think Stoicism provides someone like you or me—or really anyone putting themselves out there and launching something—on the eve of a scary, intimidating thing like a book release? How have you used Stoicism as manage the process of publishing and now marketing? Aside from the Stoic canon, what books—or even movies and documentaries—would you recommend to our readers who want to live a meaningful life? What would be some good complements to the typical Stoic reading list? In terms of books or documentaries, I would say the biographies of people who have good qualities of character and may therefore provide a role model against which to measure ourselves in order to improve. As Seneca says, “you can never straighten that which is crooked unless you use a ruler.” (Letters to Lucilius, XI, On the Blush of Modesty, 10) And I would particularly suggest to seek women role models, since the classic Stoic canon is lacking in that respect (not a particularly Stoic fault: pretty much every literature before the late 20th century was deficient in that department). Specifically, off the top of my head: The Diary of a Young Girl, by Anne Frank; Persepolis, by Marjane Satrapi; 12 Years a Slave, by Solomon Northup; Man’s Search for Meaning, by Viktor Frankl; Mandela, by Tom Lodge; Tom Paine: A Political Life, by John Keane; Euthyphro, Apology, Crito, and Phaedo, by Plato, on the life of Socrates. There are, of course, many, many others. In terms of movies, I actually have an occasional column on my blog dedicated to movie characters or situations that present a good occasion for a modern Stoic to reflect and learn from. For instance, Agent Foster in Imperium, with Daniel Radcliffe; Mark Watney, in The Martian, with Matt Damon; the Russian spy Rudolf Abel, played by Mark Rylance, in Bridge of Spies; Dalton Trumbo, played by Bryan Cranston, in Trumbo. You’ve interacted with many aspiring Stoic students over the years. What have you found are the most beneficial Stoic exercises that people really feel have changed their lives for the better? It certainly helps me not just to reflect on what I’ve done during the day and prepare to do it better the next time, over time it also generates a kind of constant attitude of mindfulness throughout the day, since you know you’ll have to face your conscience in writing every evening. I do that every time I go to a movie theater, because almost invariably some jerk will whip out his cell phone thinking that he absolutely has to check his messages regardless of how much the glare interferes with other people’s enjoyment of the movie going experience. It has been really useful in order to preemptively cultivate the sort of inner calm that will not ruin my and my friends’ evening.